The first thing I noticed when I opened up the package was that it smelled lovely. 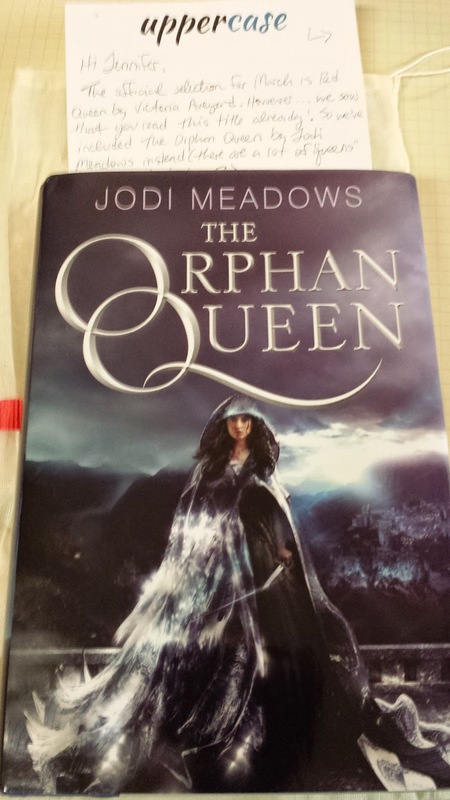 The book for me this month is Jodi Meadows, The Orphan Queen! The cool part about it is that the book of the Month pick is actually The Red Queen but since I already have it and have read it they sent me this one instead. Which is awesome. 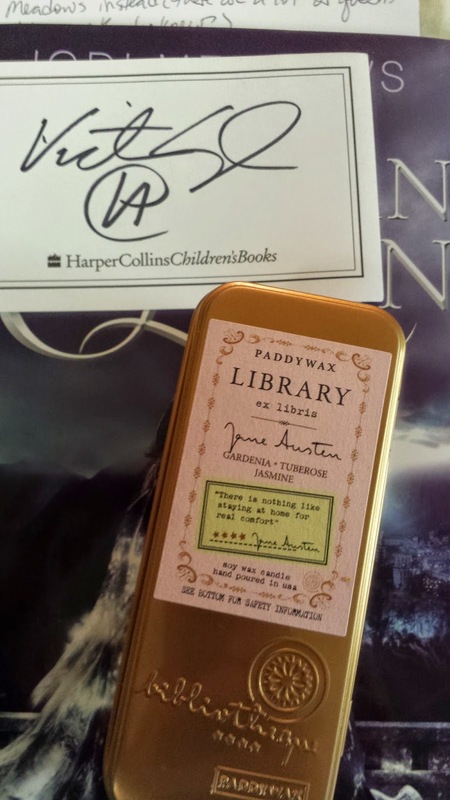 This months package also came with a signed bookplate for The Red Queen and a candle from Paddywax Library Collection. This one is Jane Austen and it smells good. I've actually checked out these candles before. 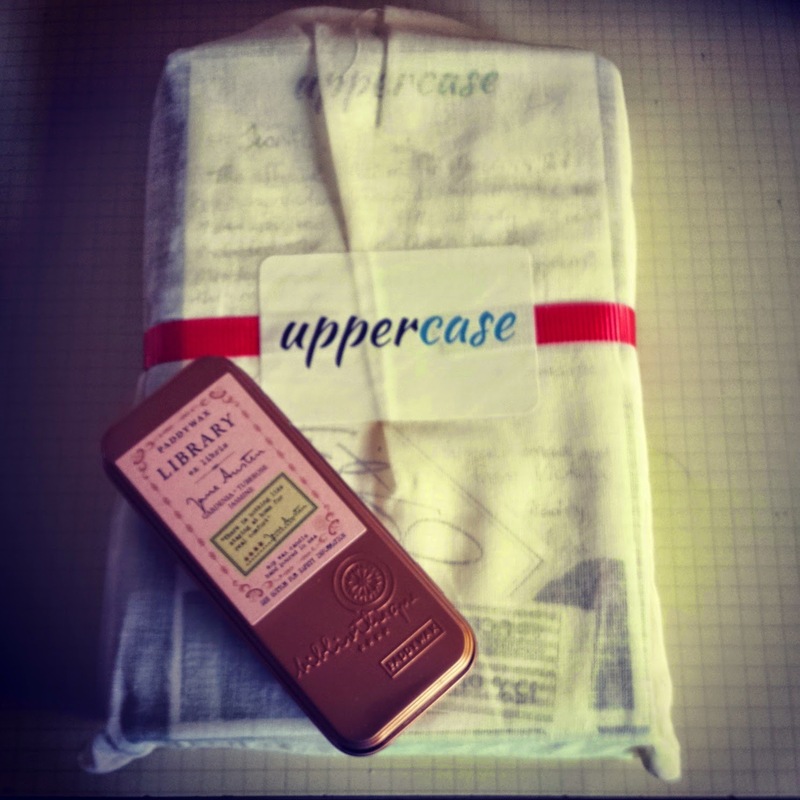 So I think overall this was a pretty awesome Uppercase Box!! I'm excited to see what next month brings. Nice! I wish I got the Jane Austen candle. I got an Edgar Allan Poe one. I went and looked at them and I think the Jane Austen one was most appealing to me.